Here’s the 10 best holiday skincare gift ideas ever from Space NK US! For the skincare fanatics, I’ve researched and these are the top-notch holiday skincare items and winter must-haves to gift yourself and your love ones! 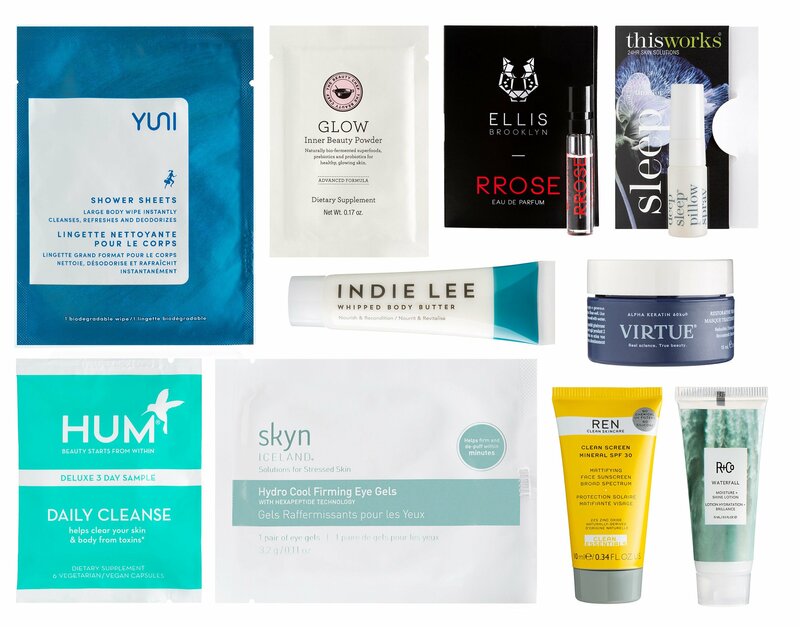 Spend $185+ for a beauty bag GWP worth over $500 – use IcanGWP Singles Days exclusive coupon code: ICANGWPSINGLES, ends 11/11 or while supplies last. I have a very surprise item at the bottom, don’t forget to check it out! Space NK USA Advent Calendar $250 Worth $650. A must-have for the beauty enthusiast on the search for skin worth celebrating. Boast firmed, toned, and glowing skin in minutes a day with the power of microcurrent + firming and hydrating essentials. Prep-N-Glow® cloths cleanse, exfoliate and hydrate the skin while the 24K Gold Gel Primer Firm is key for optimal NuFACE microcurrent device results. The limited-edition NuFACE® Rose Gold mini shines with spheres dipped in 18K rose gold, providing a luxe on-the-go microcurrent treatment to target the neck, jowls, jawline, cheeks, eyebrows and forehead to help firm and tone for younger-looking skin. This collection is complete with a celebration-worthy custom gold painted clutch. Enjoy brighter eyes with Själ Orbe Eye Contour Crème, a targeted skincare solution for the delicate eye area. Treat the most common signs of eye ageing with this innovative targeted formula, specially designed to address the common problems affecting the orbital area. Formulated with a peptide complex and molecule lift, the eye contour crème can be applied in the morning and evening to help combat the puffiness and dark circles that can affect the eye area and age the face. The powerful crème works to stimulate natural collagen and protect the skin’s elasticity, helping to reduce the appearance of any existing fine lines and wrinkles, while offering protection against damage to the skin caused by some environmental elements. Embrace the best of both worlds with the Odacité Paris to LA Gift Set, which contains two of the brand’s bestselling serum concentrates for luxurious, effective French skincare and laidback California living. This set includes the Ac+R Acai and Rose Youthful Glow Serum, which is an antioxidant serum formulated to combat loss of skin tone, firmness and texture as well as signs of premature ageing such as lines, wrinkles and blemishes. Enriched with acai berries and rose oil, the serum gets to work hydrating the complexion. Also included is the Ba+S Baobab and Sarsaparilla Eye Contour Serum Concentrate, which is rich in vitamins and minerals. Targeting dry and damaged skin, it works to improve the vitality and appearance of the eye area by reducing the look of bags and puffiness. Give the gift of skin vitality this Christmas with the Odacité Paris to LA Gift Set. Enjoy a unique, tailor-made approach to self-tanning with Tan Luxe The Face Illuminating Tan Drops. Benefitting from triple-tan technology, moisture balance complex and odourlite fragrance technology, these drops offer a flawless, natural looking complexion, without streaks or giveaway smell. Tan Luxe The Face Illuminating Tan Drops are simple to work into your skincare regime. Just mix a few drops to your chosen moisturiser, serum or facial oil, warm in the palm of your hand and apply evenly to the face. The more drops you add, the more intense the bronzing effect will be. Your tan will develop bespoke to your skin tone thanks to this luxurious formula, which is packed with smoothing natural ingredients such as vitamin E and aloe vera. 8. Space NK Best of Space NK Trending Now Beauty Box $79. Approx $170+ value. Discover Sunday Riley’s C.E.O. C + E Antioxidant Protect + Repair Moisturizer, R+CO’s Spiritualized Dry Shampoo Mist, Christophe Robin’s Cleansing Purifying Scrub with Sea Salt, Rodial’s Glamolash Mascara XXL and Ilia’s Multi-Stick in Lady Bird. 9. 111skin Iconic Edit $160 ($264 value) Exclusive. An exclusive introduction to 111SKIN; this prestigious collection provides the perfect prep for a rejuvenated complexion. The Signature Edit includes the original Y Theorem Repair Serum by Dr. Yannis Alexandrides infused with NAC Y2 – an ultra-restorative compound that initiated the creation of 111SKIN. Give your skin an all-round health and beauty boost with Vintner’s Daughter Active Botanical Serum, a powerful blend of anti-inflammatory phytonutrients, balancing minerals and beneficial fatty acids which bring a new dimension to skincare. 22 different botanical oils including avocado, neroli, rose, turmeric, sea buckthorn, and marigold combine in an infusion designed to help boost cell turnover, repair skin’s natural protective mechanisms, boost its elasticity and fight signs of aging from fine lines to dryness. With lavender and frankincense to help reduce inflammation, this luxurious serum also makes a contribution to the fight against acne, reducing pore size, reducing discolored patches, smoothing and brightening the skin for a naturally healthy, radiant look. The coupon code is applicable to Vintner’s Daughter!! They are always an exclusion for free gift bag, don’t miss out! GIFT 1: Spend $185+ for a beauty bag GWP worth over $500. Use IcanGWP Singles Days exclusive coupon code: ICANGWPSINGLES on the Shopping Bag Page, ends 11/11 or while supplies last. GIFT 2: Choose free deluxe size gift with your $50+ purchase – no promo code needed. GIFT 3: Join our rewarding loyalty program and receive 2 points for every $1 spent. 100 points = $5 off your next order. This is a limited time only offer, ending November 11. So sign up to our N.dulge program now. That’s $10 back on every $100 purchase!! GIFT 1 – GIFT 4 are stacked!